The great thing about the Memory Box Plush Heart die is that it cuts out the stitching holes for you! The stencils work great with my favorite Distress Oxide inks too! Check out this video, where I show how I put this card together from start to finish! 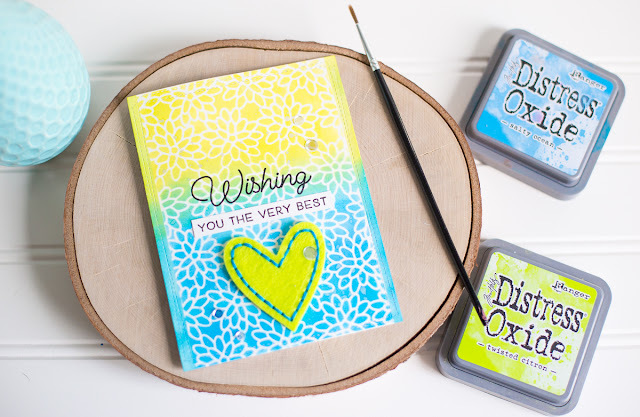 Be sure to check out the Simon Says Stamp Wednesday challenges each week! They are fun and there's always a chance to win a gift card! Curious about any of the products I used? They are all linked down below! Thanks for stopping by! 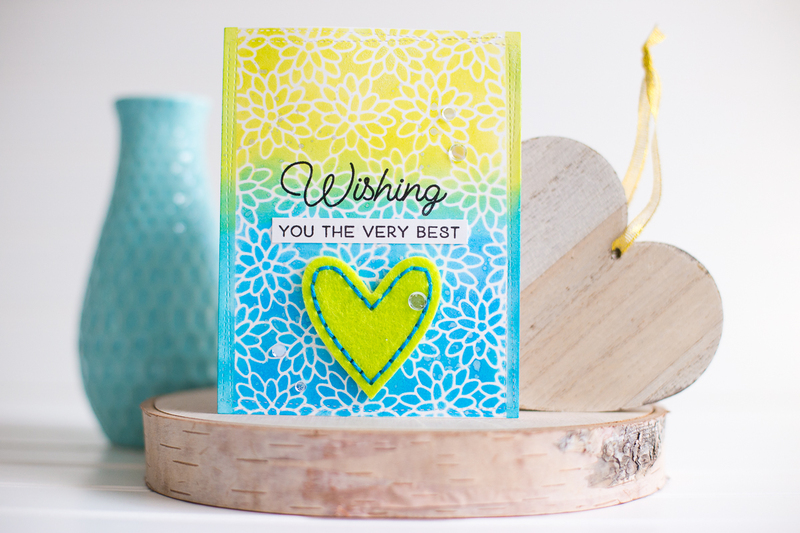 Oh what a fabulous card, love the colourways and sweet felt heart.